Follow coffee trails through ethereal landscapes that purr with cultural mystique and ancient ruins draped in historical allure and discover why Ethiopia is the heart of Africa. With over 100,000,000 residents, it is the second-most populous country in Africa. Attractions include the churches in Lalibela, Blue Nile Falls in Bahir Dar and Simien Mountains National Park near Gondar. Get ready to dance to the rhythm of East Africa with cheap flights to Ethiopia! Addis Ababa, the capital of Ethiopia, is home to Addis Ababa Bole International Airport (ADD), which is a 15-minute drive from the city centre. Addis Ababa Bole International Airport serves Ethiopian Airlines and Kenya Airways. Popular direct flights to Addis Ababa depart from Johannesburg and Cape Town. Flight duration from Johannesburg is approximately 5 hours, 25 minutes. Visit Axum, which is said to have been the stomping ground for the Queen of Sheba; gaze into a volcano; or marvel at the remarkable artistry of the Lalibela churches. Discovered in the wild hills of Kaffa in the 10th century, Ethiopia is the birthplace of coffee. 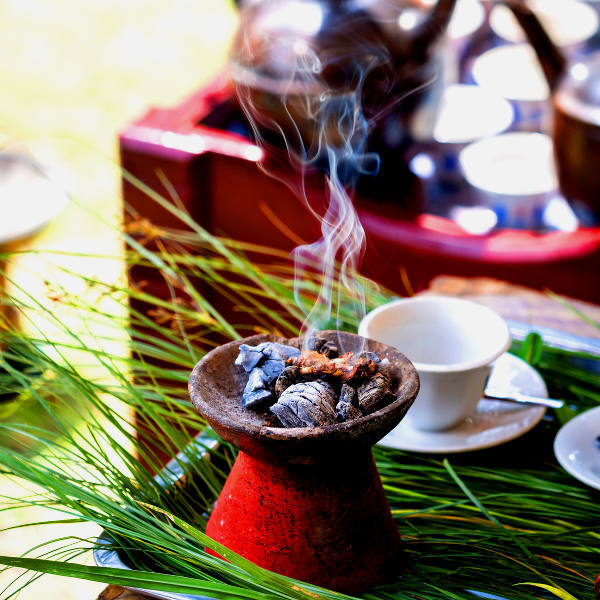 Ethiopian coffee ceremonies are iconic cultural rituals that celebrate this sacred tropical brew. Ethiopia is an extraordinary mosaic of 80 different ethnic groups. 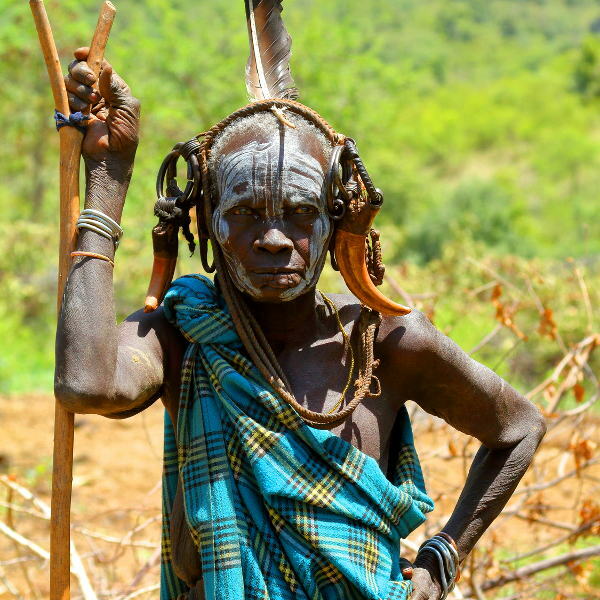 The Omo Valley is home to some of the most fascinating tribes in Ethiopia, including the Mursi, Hamer and Karo. Ethiopia lies in a tropical zone, so its climate is characterised by hot, rainy summers and mild, dry winters. The rainy season spans June to September. For decadently sunny days, excellent wildlife encounters and unforgettable festivals, the best time to visit is between January and March. However, if you want to avoid the crowds, the best time to visit is between October and December. These months offer beautiful days, landscapes ablaze with wildflowers and excellent sightseeing without the crowds. Notable events include Timkat and Meskel. For cheap flights to Ethiopia, the best time to visit is between April and September. Ethiopia is a country of origins and soul. It is a place where you can lose yourself in the ethereal whirl of Timkat and wild expanses of Bale Mountains before indulging in the delectable aromas of a coffee ceremony and hearty flavours of injera and kitfo. The small town of Lalibela is home to 11 medieval churches that are one of the most sacred sites in the world. These magnificent structures were carved into the earth during the 13th century. The churches of Lalibela are a UNESCO World Heritage Site and an important pilgrimage site in Ethiopia. To the north of Lake Tana, the source of the Blue Nile and the largest lake in Ethiopia, is the enthralling city of Gonder. Known as the ‘Camelot of Africa’ and home to the iconic 17th century Fasil Ghebbi palace, this majestic fortress whispers of ancient East African empires. Wander through winding alleyways, explore bustling markets and encounter wild hyenas in Harar, one of the oldest cities in Africa. Or trade the bustling cities in for the dreamy landscapes of Simien Mountains National Park or tribal encounters in the Omo Valley. Compare several airlines and book your cheap flights to Ethiopia online at Travelstart! South African passport holders require a visa to enter Ethiopia. You will need to ensure your passport is valid for at least six months and has three blank pages for entry stamps. The Embassy of Ethiopia is situated in Pretoria. Due to the conflict in neighbouring countries and civil unrest, there are certain risks when travelling to Ethiopia. It is highly recommended that you stay up to date with the political and security situation throughout your stay. Travel insurance to cover theft and medical expenses is also recommended. Avoid all travel to the areas bordering Somalia, Kenya, South Sudan, Sudan and Eritrea. 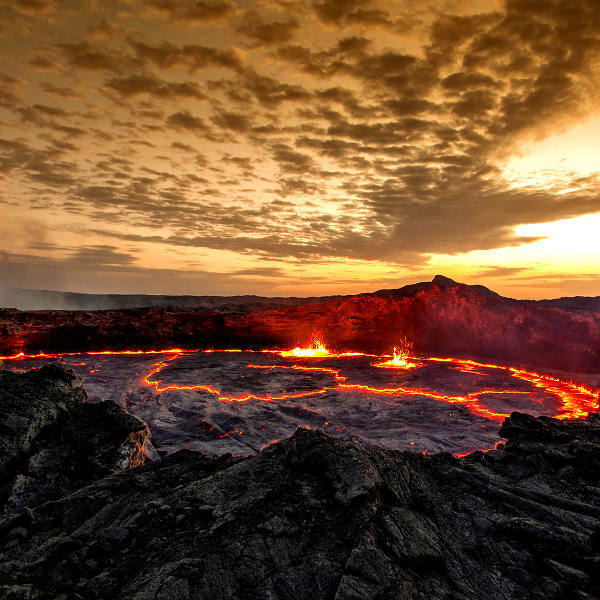 Travel to the Danakil Desert area and certain parts of the Somali and Gambella regions is not recommended. Remain vigilant at all times and steer clear of large crowds and demonstrations. Leave valuables in a safe place, as pick-pocketing and robberies do happen. Avoid venturing out at night (especially if you are alone). You should familiarise yourself with the local laws and customs before arriving. Earthquakes are a risk in Ethiopia. Unexploded landmines are a problem near the Eritrea border. Malaria, dengue fever, chikungunya and Zika virus are present in Ethiopia, so precautions should be taken to avoid mosquito and other insect bites. Immunisation against yellow fever, hepatitis A & B, typhoid, cholera, meningitis and rabies is recommended. Other routine vaccinations include MMR, diphtheria-tetanus-pertussis, varicella and polio. Stick to bottled water.